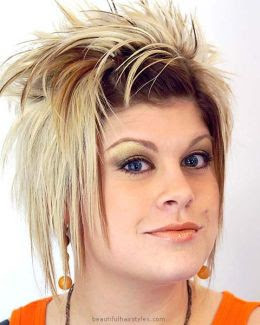 Liz Blair's Art, Design, and Fashion: New hair style - punk or emo? New hair style - punk or emo? I really like to play with my hair, and try new things, despite the fact that it is already very short and extremely thin. Even though there's not much I can do with it, I really like the rock-chick look. I collected some photos off the internet for inspiration. I've always been fond of this look.